It is really wonderful that you shared this information here. I am an event planner and planning for a corporate event like his for the first time. Can you tell me the exact location where should I look for best meeting rooms? Thanks in advance for your help. but the old site may still be used as an archive for past GL minutes. This Blog aims to provide a discussion forum for and about Green Left. Postings to it may be text or graphics, they do not have to be absolutely in accord with the views of Green Left, nor, since one of Green Left's current aims is to change the policies of the Green Party of England and Wales do they have to be in accord with the policies of GPEW. 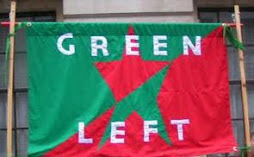 Postings can be sent to yrrumuk@googlemail.com .The Committee of Green Left reserves the right to refuse any posting. Thanks to J.Healy & A. Hewett who paid for it. Donations towards cost welcome.